Connect with Outdoor Families through our Get Connected page. Fill out the contact form below and include your company name, address, phone number, link to your website and 1-2 sentences describing what you do in order to be added to our Get Connected page. I would love to be an ambassador for your company or group if our missions and visons align. 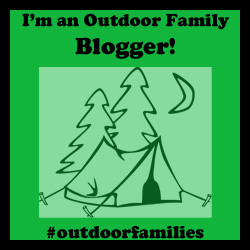 Have you recently been on an outdoor trip with your family? Do you have tips or activities that you think would help families get outdoors? I would love to hear your ideas. Give me a pitch for a story, tips or activities.